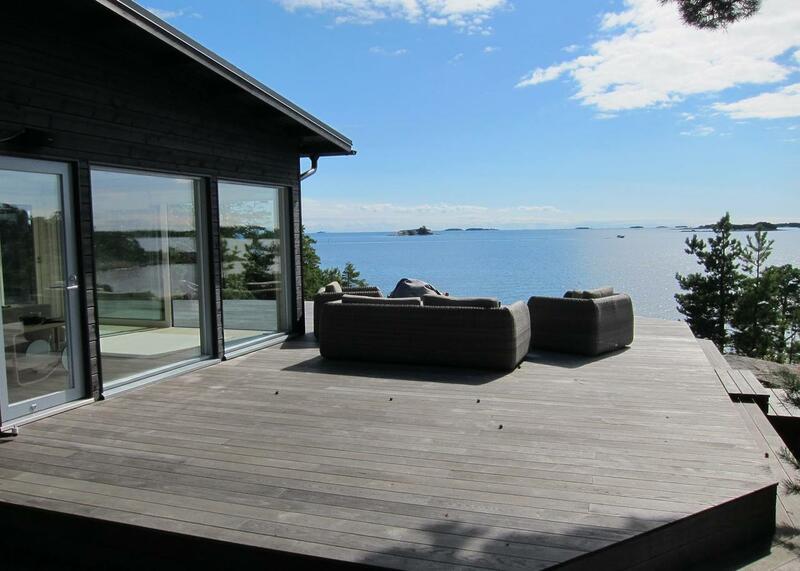 Thermory is an established brand of exterior and interior wood products, manufactured from North-American and European softwoods and hardwoods. Excellent know-how combined with hightech solutions assure the company maintains its well known superior quality. • Thermory Products are certified 100% chemical FREE, so they are safe for every application, including in areas where pets or children play. 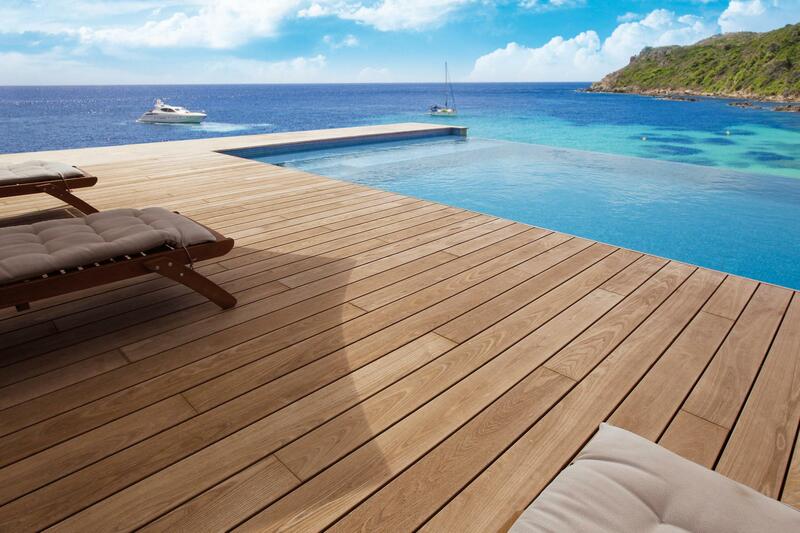 ThermoWood Products are environment & people friendly products. • The thermal treatment process uses ZERO chemicals, so it’s a 100% ECO friendly process and the wood continues to be 100% safe, natural and environmentally friendly material. • Thermory is durable and dimensionally stable because our process reduces the wood’s permeability and increases the wood’s water-repellent properties. • By absorbing less moisture, the product experiences less swelling and contraction and is less subject to cracking and twisting, thus resulting in a longer lived product, naturally. 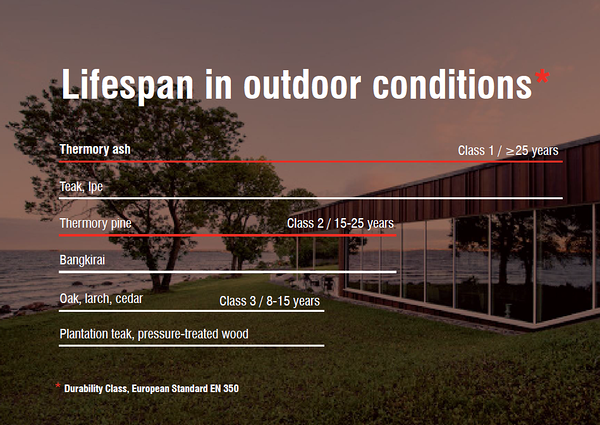 • Most wood products are adversely affected by changing weather extremes, but Thermory handles any weather conditions. Thermory has passed the test in the harshest of environments, from the hot, dry climate of the Middle East, to the bitter cold winters of Finland. • Thermory may be used untreated, but also may be ordered in a variety of finishes. • One of the most valuable advantages of Thermory is its safety. Thermory absolutely doesn’t harm the environment and has no chemical danger of any kind to your family members including the youngest ones. important fact for people with different allergies.